As a mother of two boys with sensory issues and other special needs, I approached their entry into kindergarten with a combination of excitement and twisted-up-in-my-gut nerves. 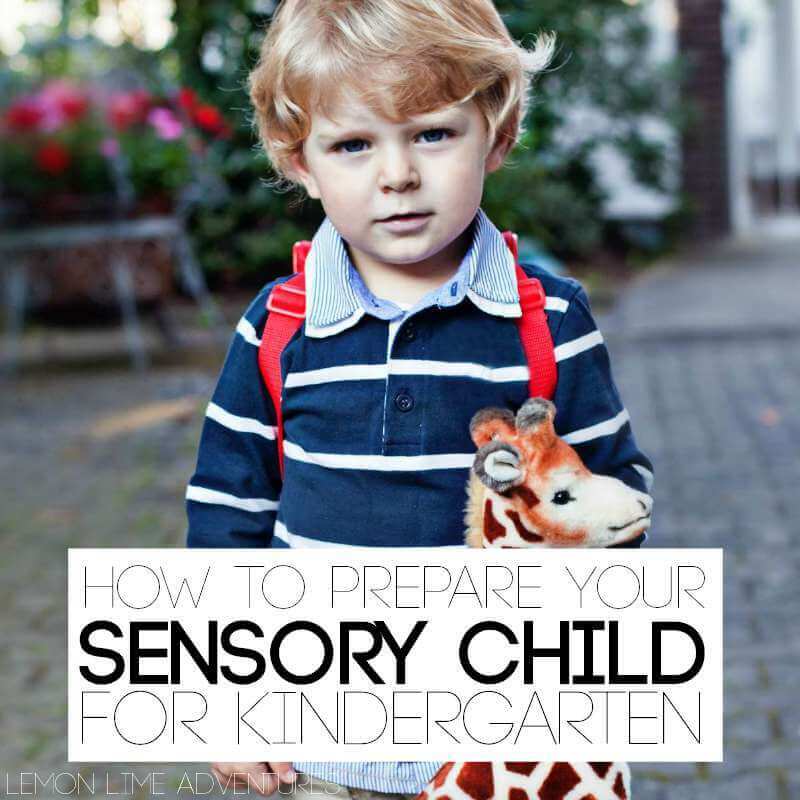 Preparing a sensory or special needs child for kindergarten presents a unique set of challenges. Hi, I’m Shelley from over at STEAM Powered Family. I’m so excited to be here as a guest contributor and want to thank Dayna for running such an amazing and helpful site for moms like me. I’m honored to be here sharing some of my hard-earned experience. Seek help | If you are struggling with certain behaviors that you believe will impact your child’s success in kindergarten, and beyond, seek help. Talk to your pediatrician, occupational therapist or child psychologist. 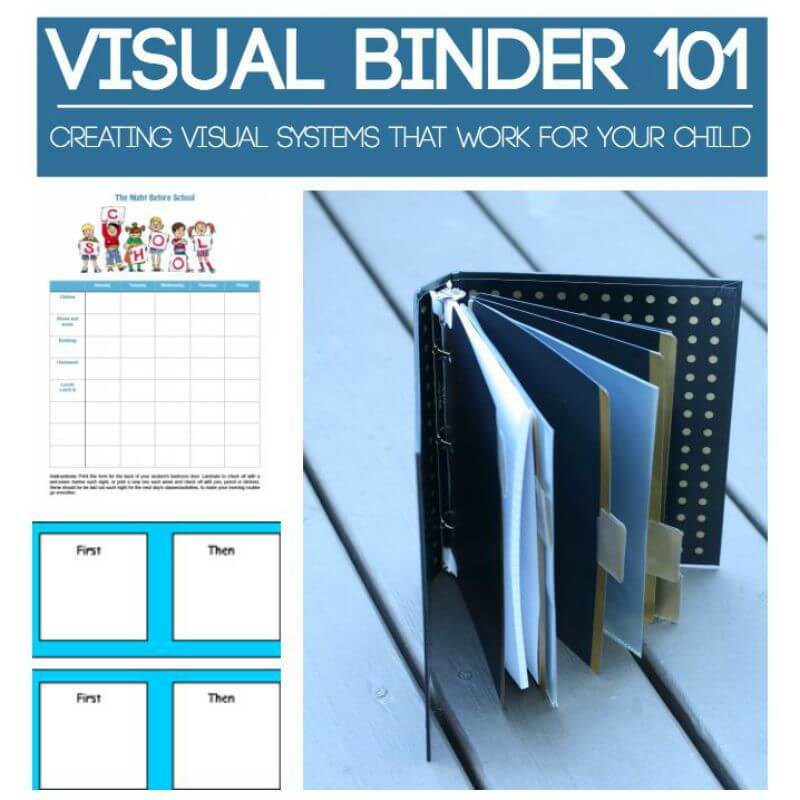 They can help you develop some strategies to prepare your child for kindergarten. They may also recommend assessments. Identify Triggers | Make a list of things that will trigger your child. Loud noises, certain textures, bright colors, fluorescent lights, strong smells, whatever you have identified as a trigger for your child should be recorded. This will be important for the school to know. Create a List of Seeking & Avoidance Behaviors | This is building on your list of triggers. Add any seeking behaviors, where your child actively seeks certain types of stimulation. Also add any avoidance behaviors and how these might present. For my youngest son, he would avoid any buzzing from bugs or toys. Sometimes this avoidance would involve him running away. The teachers needed to know this so they could protect him on the playground so he wouldn’t take off onto the road if he was buzzed by a bee. Calming Strategies | OK, so you’ve made your list of triggers and behaviors, now add calming strategies. This should include things that are done throughout the day to maintain regulation (fidget toys, movement, weighted vests, etc.) and what to do during an episode to help calm the child. The list you compiled in steps #2, #3 and #4 should be provided to the school (and medical professionals as necessary). Toileting | I’m not sure what things are like in your home, but my boys had no shame about walking around the house with their pants around their ankles looking for help with snaps and zippers if they needed it. This isn’t going to fly at school. Ensure your child is able to toilet themselves in their school clothes. Clothing | We practiced wearing the new back to school clothes for a few weeks before school. It is one thing to have your child look smart on their first day, but if they are uncomfortable in their clothes, it could create issues and negative associations with school. Through practice runs, I was able to identify clothes that made my son uncomfortable and any pesky tags. Clothing also includes shoes. Make sure your child can take their shoes on and off easily. If you need tips for teaching your child how to tie their shoelaces, you can see what finally worked for my son here. Lunch | One important tip is to find lunch kit your child is really excited to use! Before school starts have some practice school lunches. Make sure your child will eat the food and that they can open the lunchbox and containers or packages. My boys used to hate sandwiches and would not eat all day long if I packed a sandwich. It made for some tough days until I figured out what kind of lunch (bento style!) my boys would eat at school. I also liked to include a favorite food and a note with a little love from mom. Practice Circle Time | One of the big things in kindergarten is circle time. Reading time on your lap is something your child is probably very comfortable with, but sitting with other fidgeting children while trying to listen is tough. Practice this at home by reading while your child sits on the floor playing with some toys. Make it a family activity if you can. Big Emotions | Prepare yourself for some big emotions on the first day. Not just from your child, but from you. Your baby is so grown up! And walking out of the room after the first drop off is tough. Help your child keep a positive mindset about school by staying positive and upbeat yourself. 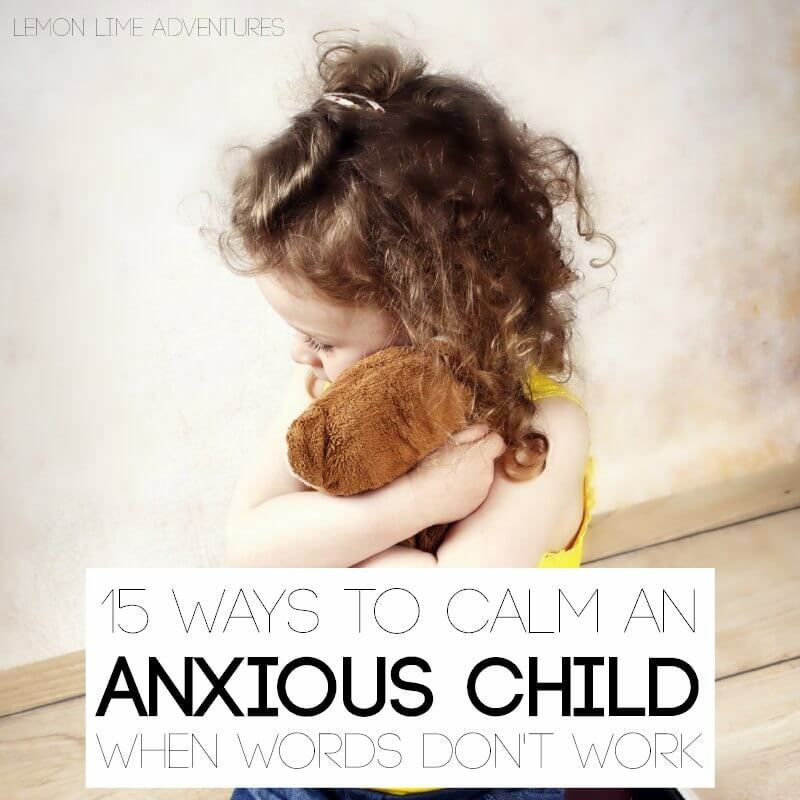 Here is a list of 13 things you can say if your child is anxious. Honeymoon Period | For a lot of kids the first few days or weeks go by fairly easily. It’s once they are more settled that you can start seeing some issues emerge. Watch for any signs your child is struggling so you can address them quickly. Bonus Tip! Build Your Village | Your child’s success in school may take a team approach. Connect with your pediatrician, child psychologists, therapists, OT, teachers, school counselor, other parents and even the school receptionist (yes, trust me, they know everything!). Build your village so your child has a big support network that will help launch them into a successful school life. This sensory support group is a great online village to connect with others in the same situation. This is such a big time, I hope these tips help you prepare your child for a successful start to kindergarten! Shelley runs STEAM Powered Family, a blog about embracing the power of Science, Technology, Engineering, Arts and Math in the homeschooling of her gifted and special needs children. She has her psychology degree and a slightly zombie-esque obsession with brains. She loves to get social and invites you to pop by STEAM Powered Family and follow her on Pinterest, Facebook, Instagram or Twitter. Just be prepared for plenty of glorious geekiness, including lots ramblings about Doctor Who. Starting school is a big deal for any child. Toss into the mix sensory issues and it can be a real struggle. It’s so important to keep that communication open with the teacher and other staff members about what your child may need. Wonderful post! 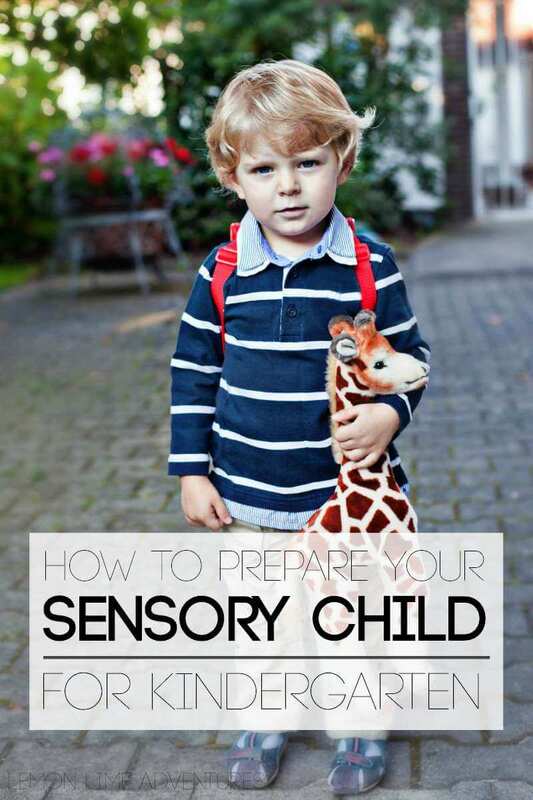 Some of those tips apply to typical children as well as sensory children. Teachers will appreciate the partnership of parents in guiding a child through the process of adjustment to kindergarten. I’m a kindergarten teacher and have been enjoying your posts. I’d love to share “How to Prepare Your Child for Kindergarten” but there’s no way to save as a PDF document to then copy and print. I know “hard copy” may appear old fashioned in this day and age, but it gets frustrating to discover wonderful information that you are unable to share. By the way, you are not the only site where I struggle with this dilemma. If you have a solution for not only this article, but future publications from your site I’d greatly appreciate it. I can work on making this a downloadable file for sure. Thank you for the feedback.